This is the first of 3 Japanese Study posts that I will upload today, as I have been meaning to upload them for the last few days now. The reason i am uploading them as separate posts is that i like to have a record of my studies for myself, so that i know what i studied and when. Thankfully, the 3 posts I will upload are all part of the same storyline, that according to the actors in the lessons will last for quite a few weeks. This new series is about 2 people who are going to meet each other for the first time. The first part set the story in motion, and was 2 male friends discussing one of them going to meet someone the following day. 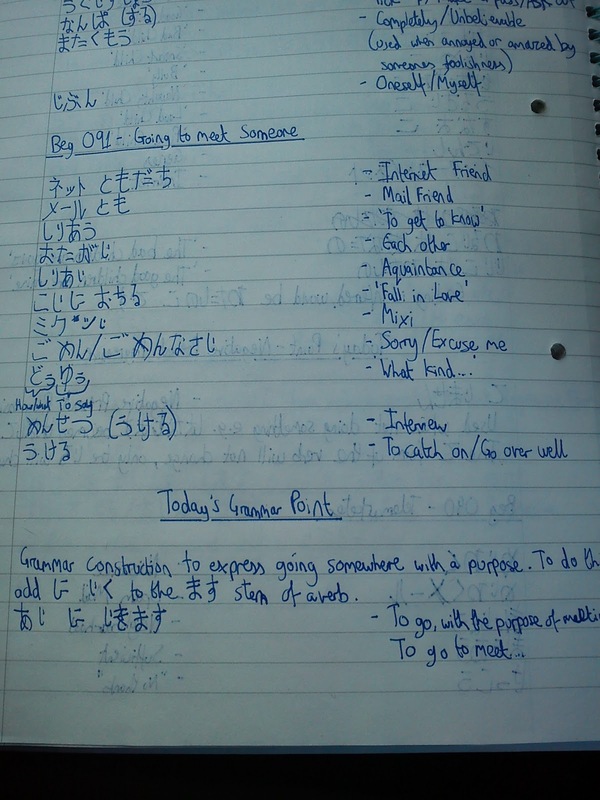 I am still revising these lessons, as i seem to be struggling to learn new phrases recently. I am putting it down to my work being more stressful than usual, which can affect people's memory, but i am hoping this will change soon so i can carry on with my studies as normal.